THE NATIONAL PTA REFLECTIONS PROGRAM is a nationally acclaimed student recognition program that encourages artistic creativity in the classroom and at home. Students of all grades and abilities may participate and explore the arts based on the 2018-2019 theme: HEROES AROUND ME. National PTA Reflections welcomes all grades and abilities to explore and be involved in the arts. Annually, thousands of students will reflect on a common theme and create original works of art in the categories of visual arts, dance choreography, photography, film production, literature, and music composition. Take time to reflect on this year's theme (Heroes Around Me) and get creative! For inspiration, you can also visit the National PTA Reflections Program Art Gallery. Students should follow their school's PTA deadlines and instructions on how to enter. The deadline for your school's Reflections Chair to submit winning entries electronically to European PTA is FEBRUARY 21, 2019, and Official Program Rules and Resources are available for download below. The files below can be downloaded to assist you with your Reflections submissions. Local PTA Unit leaders should also utilize the National PTA REFLECTIONS TOOLKIT as they plan their school Reflections programs. JOIN THE SEARCH FOR A FUTURE REFLECTIONS THEME BY ENTERING THE ANNUAL PTA REFLECTIONS PROGRAM THEME SEARCH CONTEST! Student entry forms must be completed and submitted by Local PTA Units via email to EuropeanPTAReflections@gmail.com by NOVEMBER 1, 2018. 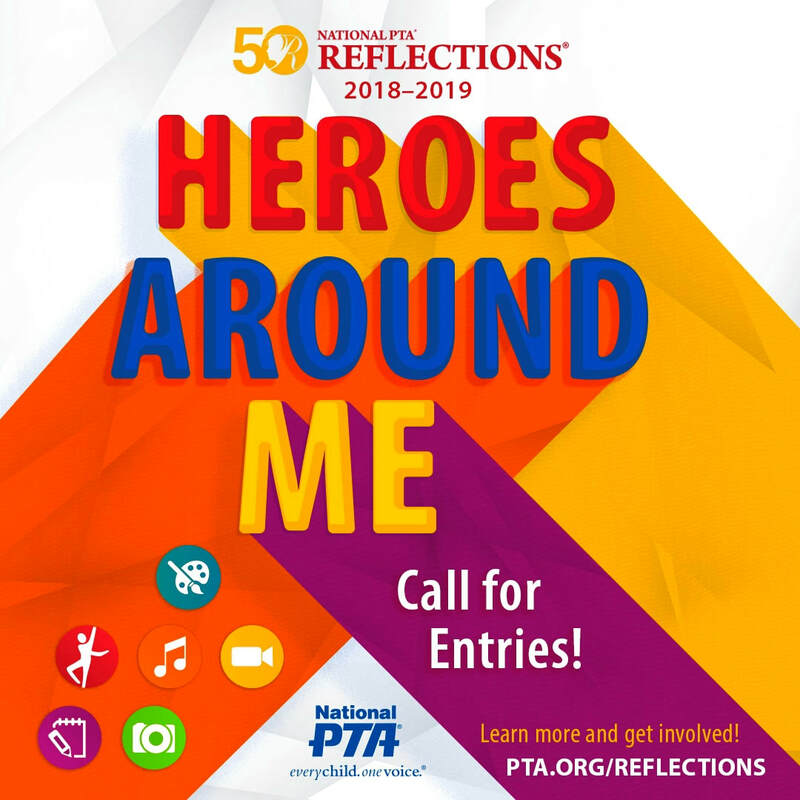 One exceptional theme will be chosen by National PTA to inspire creativity for the 2020-2021 PTA Reflections program. CLICK HERE to view past National PTA Reflections Program themes. Do You Have Reflections Questions? If you have any questions regarding Reflections Program requirements or submissions, please email EuropeanPTAReflections@gmail.com. CONGRATULATIONS TO OUR 2018-2019 EUROPEAN PTA REFLECTIONS AWARD WINNERS!! !